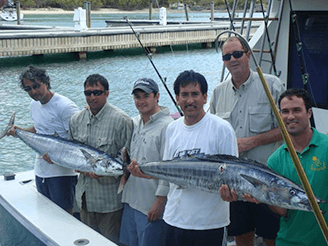 Fish Jumanji offers two Miami charter fishing boats available for hire. The Seacross, a fully loaded and customized Sportfishing Yacht and the Seacross Hatteras Sportfishing Yacht. Both boats are air-conditioned and fully loaded with top-of-the-line electronics, tackle and safety gear. Aside from our big boats, we charter a 19 ft. Sundancer for the best flats and bay fishing Miami has to offer! Capt. 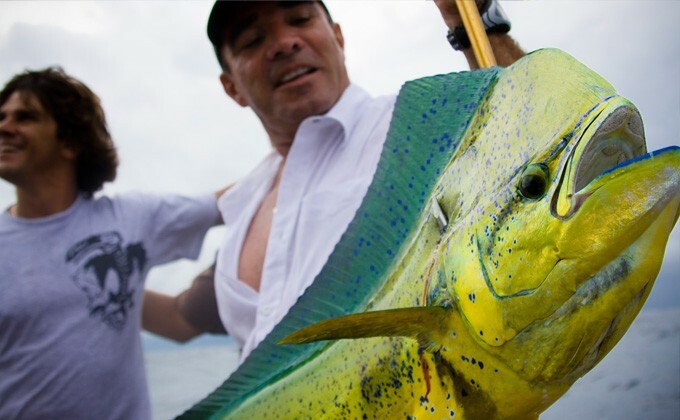 Kevin Pagan will take you on a once in a lifetime Miami charter fishing experience. 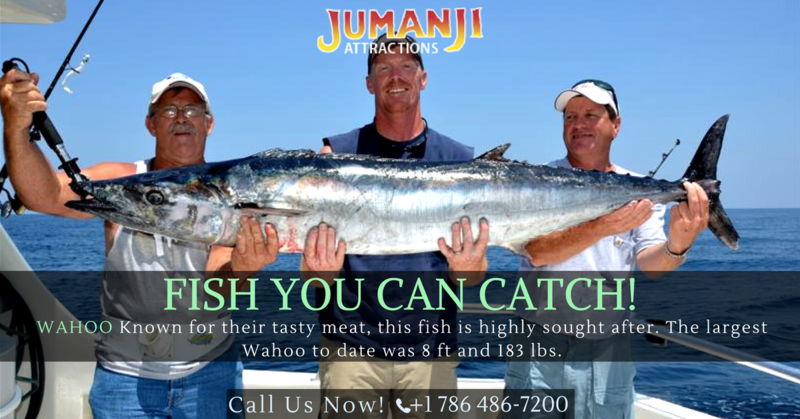 With Fishjumanji, you will be trolling for Marlin, Sailfish, Yellowfin Tuna, Tarpon fish, fishing Dolphin, Wahoo and Swordfish too. We now offer backcountry fishing for tarpon, snook, trout, jack, mackerel, permit, pompano, snapper, sharks and more! When you arrive at the marina the Fish Jumanji will be steps away from where you park, then one of our team members will start helping you on-board. Once fishing aboard, your Miami charter fishing adventure begins. Capt. Kevin Pagan is devoted to keeping your Miami charter fishing trip as pleasant and safe as possible. He will explain to you the tackle and fishing techniques that you will be using that day.